This piece was purchased at a flee marked under the guise as a Tear Gas firing gun, under the directives of a gun expert, I have found this out to be an E.I.G. 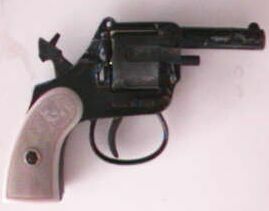 .22 Caliber Short revolver, made in 1960 by E.I.G. 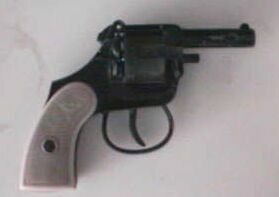 of Italy, under research I found out this gun was made and sold cheap, only about 25.00 USD per pistol, holding 6 .22 Caliber short shells for close range, personal defence. The Trigger works Single action.